You and your guests having fun and dancing the night away, that is the goal of a wedding DJ. That's also our goal for each and every wedding. There are also moments at weddings that bring out emotion. If your guests laugh, cry, dance, and celebrate, those are things that create a perfect wedding. Eclipse Effect Entertainment is here to work alongside wedding couples’ to tell their story of love. We become creative partners working together with you for an amazing wedding experience. It's that extra guidance, advice, and creativity we provide that will leave you more confident and prepared during your wedding. 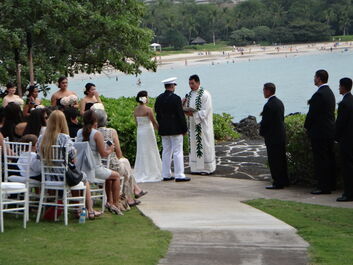 With this extra preparation, it allows you to have peace of mind and to really enjoy your wedding. Our DJs will work with your requests and feel you want for your wedding to create that perfect soundtrack for your night. Our MC hosts will create interactivity, emotion, and a great time for you and your guests. We're here to showcase your story of love and celebrate you. 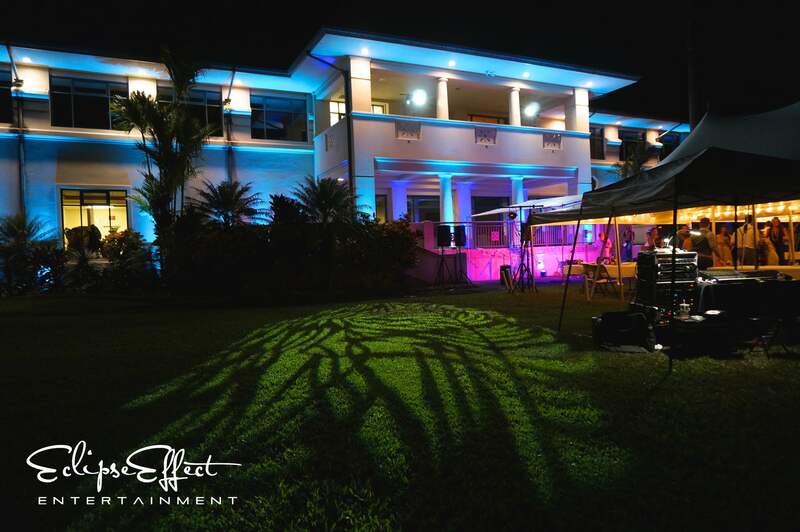 Once you book a wedding package with Eclipse Effect Entertainment, we make it easy for you to keep in touch with us and take some stress off the planning. You get exclusive access to our client login area, which gives you access to planning form (which allows the MC know who to announce in your wedding party or lets the DJ know what song to cue up at what time), a timeline form (makes creating a timeline for your reception easy), and a music request form (this lets you look up your favorite songs, preview them, and submit them to us to have ready for your wedding). The music request area also has section with top wedding song ideas. For example if you can't find the right song for your cake cutting, mother-son dance, etc., just check out the "Top Wedding Songs" section. 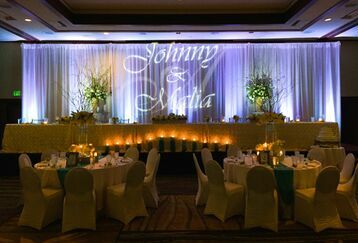 We help you create a unique timeline that will keep you and your guests engaged and entertained. This is done by getting to know you. Getting to know your personalty, hobbies, and getting to know what is important to you. 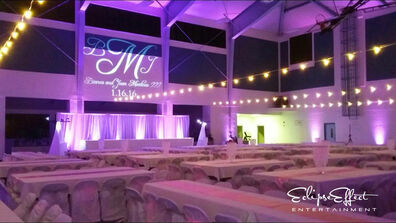 We have special ways to get your guests talking about your wedding after the event is done. From custom songs with personalized messages for first dances to games like warm ups games, the "Shoe Game", the heart warming “Generations Dance”, and more. Then add in surprises in between and you'll have a night that you and your guests will always remember. 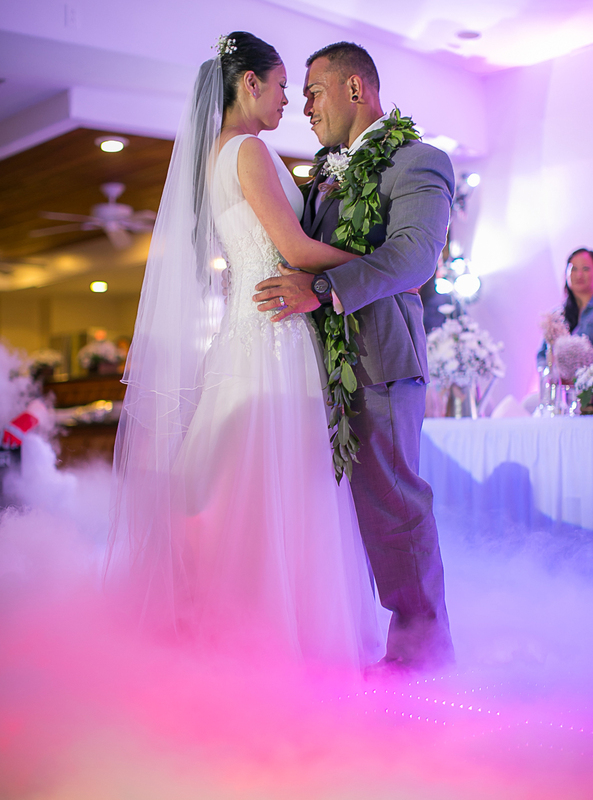 Photo by Event Studios Hawaii. Click on services to see more info. 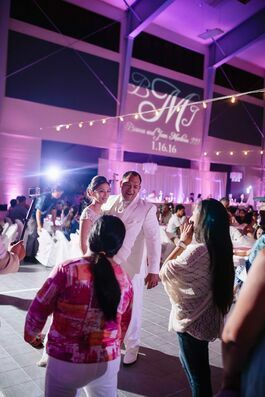 "Many of our guests have complimented us on the fancy lighting and he the recording you made for my dad before the father/daughter dance." 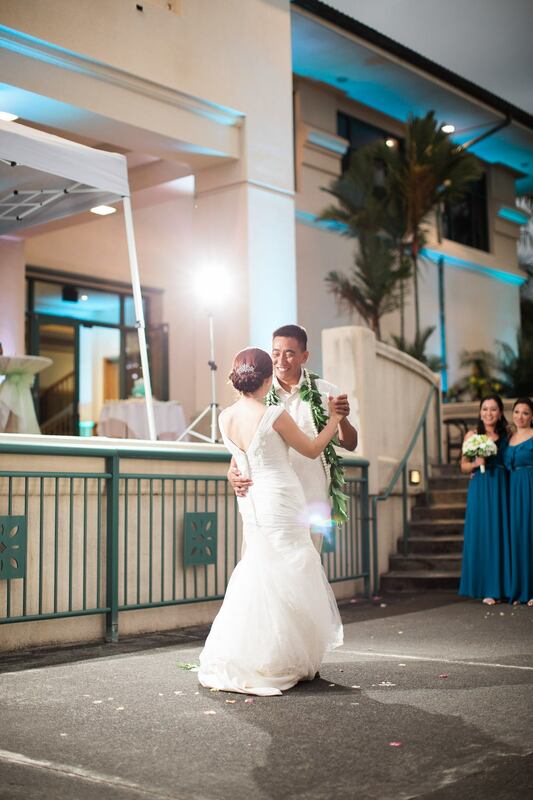 "Our reception was so much fun our friends and family are still talking about it, which is exactly what we wanted. Jase kept the crowd entertained all night long and fulfilled our wishes with all the games we wanted." 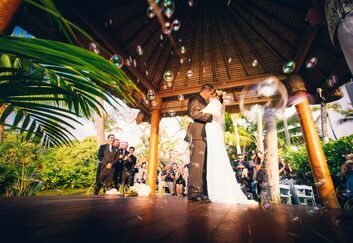 Ready to create that unique and fun wedding experience? With our wedding services you'll be given access to our "Five Easy Steps to a Creative Wedding" email series. This email series is full of wedding tips that will be emailed to you over a months time. These tips will help you be prepared and boost your confidence for your big day. It also goes over some of the most asked questions past couples have asked us. The more prepared you are, the more at ease you will be on your wedding day, and the more you will enjoy your special moments. 5. A Few Final Tips to Leave You Confident.